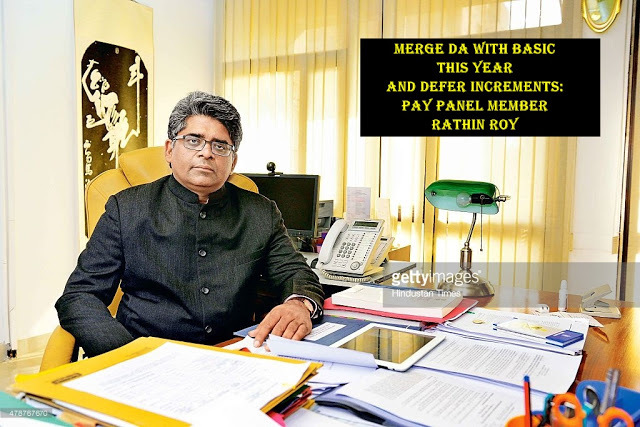 Member of the Seventh Central Pay Commission Rathin Roy has suggested that to meet its fiscal deficit target the Government should merge the basic pay and dearness allowance (DA) of central government employees in the current year and defer implementing any real increases in pay and pensions. This, the member has said, could be done by compensating those who would have to bear the burden of the deferred effect by giving them a “more generous award distributed over several years”. “I am saying that the increment need not all be given at one go... 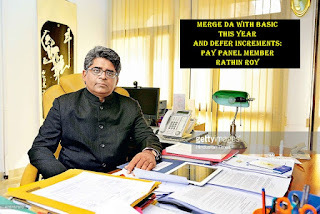 It can be staggered and made more generous… So this could be done for pay and for pension,” Dr. Roy told The Hindu in an exclusive interview. “Now I am not competent to say whether this is politically feasible or not,” he, however, added. 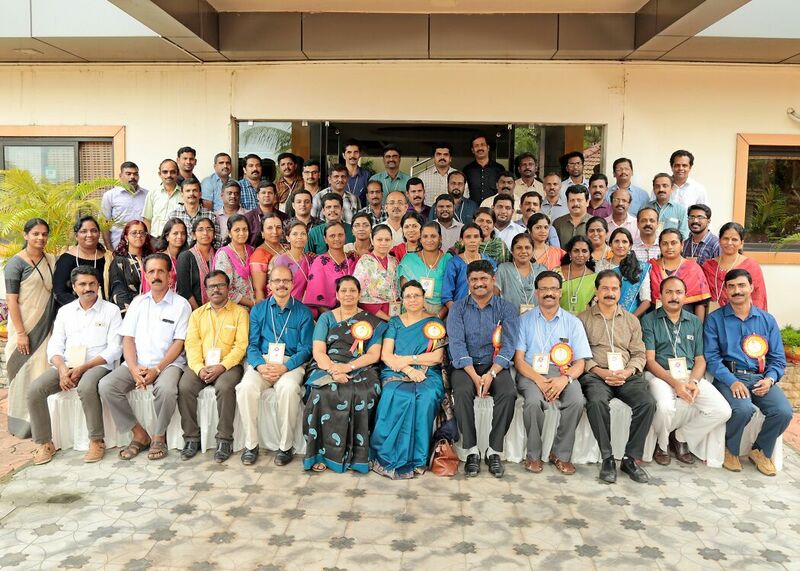 Last month, the Union Cabinet set up an empowered committee of secretaries under the Cabinet Secretary for processing the recommendations of the Commission. The pay and pension revision recommendations of the Commission are scheduled to take effect from January 1, 2016, but Dr. Roy, who is also the National Institute of Public Finance and Policy’s Director, has suggested that the implementation should be pushed to April 1. Ahead of the presentation of Union Budget 2016-17, the Government is considering options for keeping the fiscal deficit for the next year within the Fiscal Responsibility and Budget Management target. The Government’s fiscal deficit in 2008-09, the year the Sixth Central Pay Commission award was implemented, doubled to 6 per cent, though not all of the increase was on account of the pay and pension hikes. Currently, Central government pay and allowances account for 1 per cent of the country’s GDP. The Seventh Pay Commission, which submitted its report in November 2015, estimated that the total financial impact due to the hike in pay and allowances of central government employees recommended by it would be Rs 1,02,100 crore. Of this, Rs 73,650 crore will be borne by the General Budget and Rs. 28,450 crore by the Railway Budget. The Commission was set up by the UPA government in February 2014 to recommend revisions of remuneration for 48 lakh central government employees and 55 lakh pensioners.